Protect your rights and maximize your payout after a California car accident. We answer key questions and show you how to build a strong insurance claim. Today’s cars are safer than ever. But even with added safety features, car accidents continue to occur daily. 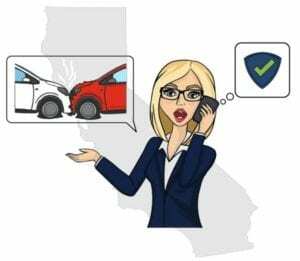 If you’ve been in a California car accident, you need to know applicable laws, where to file accident reports, how to collect evidence, when to call insurance companies, and more. Knowing what to do and say after a car accident is critical to get the compensation you’ll need to recover from your losses. If you’ve been the victim of an auto accident you’ll want to be fully compensated for your bodily injuries and property damage. Here are 10 steps to help you build a successful car accident claim. 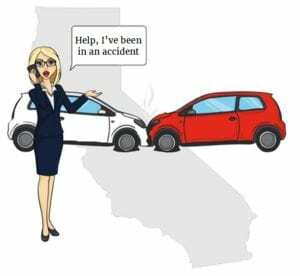 We’ve also answered the most frequently asked questions about California car accidents. What do I say about the car accident when I call 911? Do the police have to respond to the accident? What if I’m not injured in the crash, but others are? Do I have to report the accident to the police? Do I have to report the accident to the California DMV? Where can I obtain the accident report form? Is there a time limit for filing the SR1 car accident report? Where do I send the SR1 Report of Accident? What if I’ve been injured and I can’t report the accident? What if I collide with a parked car and no one was in it? How can evidence help my insurance claim? Is there any other information I need to help my claim? What’s the role of law enforcement at accident scenes? Does law enforcement have to listen to my side of the story? What’s a Cooperation Clause and why is it important? What I don’t report the accident to my insurance company? Will my premiums go up if I report the accident? Why notify my insurance company if I didn’t cause the accident? Is it wrong to admit the accident was my fault? Why notify my insurance company if the other driver isn’t hurt? What if the other driver says I’m at fault for the car accident? Are there mobile apps for reporting auto accidents? Can you give me an example of how Pure Comparative Negligence works? 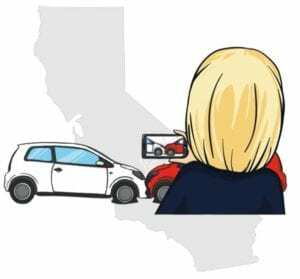 How much car insurance does California law require? Will I get more money with an attorney? Can I negotiate the attorney’s fees? When would I file a car accidnet lawsuit in Small Claims Court? 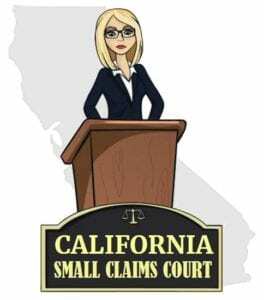 How much can I sue for in a California Small Claims Court? What do I do if my insurance company is stalling? Stopping immediately after an accident isn’t just the right thing to do, it’s the law. If you’ve been in an accident, pull over and call 911. The 911 operator will need to know the nature of your emergency, your location, if anyone is injured, and if the accident scene is dangerous. Your location. Street names, highway exits, mile markers, and landmarks are important. Tell the operator what side of the road you’re on and what direction you were traveling. This will help assure emergency personnel arrive quickly. If there are injuries. The 911 operator needs to know if there are obvious injuries or if anyone is unconscious. Let them know if anyone is in pain, vomiting, or complaining of nausea. If the accident scene is dangerous. Tell the 911 operator if anyone is trapped in their car, if there are specific hazards like leaking fuel or downed power lines, or if there are traffic problems. No. Each law enforcement agency has their own guidelines determining when police, fire and rescue will be dispatched. If there aren’t any injuries and the accident isn’t blocking traffic, the police might not be dispatched at all. The law requires you to render “reasonable assistance” to anyone injured in the crash. This is true even if the accident wasn’t your fault. Reasonable assistance can include driving those injured to the emergency room. Even if you don’t think someone is injured, if they ask you to take them for medical treatment, you’re required to do so. The intent of the law is to encourage people to help each other during emergency situations. After a car accident, adrenaline pumps through your body, masking pain and injuries. Keep in mind that some injuries can take several days before symptoms show. You might think you’re just “shaken up” from the crash, but you could be seriously injured and not realize it yet. Never refuse treatment at the accident scene. When the paramedics arrive, let them examine you. If they say your injuries are serious enough to take you to the local hospital, go with them. If you didn’t go straight to the hospital from the scene, see your own medical care provider as soon as possible. Insurance companies will jump on a delay in medical treatment as excuse to deny any claim you make. Drivers must notify local police or the California Highway Patrol within 24 hours after any accident involving injuries. Drivers involved in a California car accident that resulted in injuries, death or property damage of $1,000 or more must report the accident to the California Department of Motor Vehicles using the SR-1 Report of Traffic Accident form. You can download the SR-1 Report of Traffic Accident Form here, or contact your local DMV office, CHP, police or insurance company. Yes. The accident must be reported to the California DMV within 10 days. This is true whether you caused the accident, or not. If you are too hurt to file an accident report, a passenger in your car should report the accident. If you can’t find the car owner, leave a note on the damaged car with an explanation of what happened, along with your name and address. Accident scenes are fluid. Before long cars will be towed away, drivers and witnesses leave, and the police will be heading back to the station. Take advantage of the window of time after the crash to collect important evidence. You’ll need evidence of the other driver’s negligence to support your claim for damages. You’ll also need to prove that as a direct result of the other driver’s negligence, you sustained property damage or personal injuries. Diagnostic tests: X-Rays, CT Scans, MRIs, etc. Out-of-pocket expenses for medications, medical devices like crutches, cost to travel to treatment, etc. Start keeping track of your damages right from the start. Remember to make copies of all your medical and therapy bills and records, receipts for out-of-pocket expenses, and verification of your lost wages. Your detailed list of damage will be extremely important to the success of your insurance claim. The VIN number can normally be found on the car’s dashboard in the left corner where the dashboard and windshield meet. It can also be found on the driver’s insurance card or inside the driver’s side door jam. If the other driver isn’t the owner of the vehicle, ask for the owner’s information. Yes! Photographs and video taken with your cell phone, camera or any other device is tremendously helpful to your claim. Take as many photographs and videos as you safely can from different angles. Yes! Witness statements can be very important to the success your claim. Witnesses are not obligated to stay and speak with you, but you can try to talk with potential witnesses long enough to determine if they saw anything that might help your claim. If you have a willing witness, ask for their name, address, phone numbers, e-mail address, and if they’ll write down a statement of what they saw. Have the witness sign and date any written statement. We’ve made it easier for you, with a free Car Accident Information Form. Keep a copy of the form and a pen in your car along with your proof of insurance. You’ll always be ready to collect important information you need from an accident scene. Police are generally sent to accident scenes where there are injuries, fatalities, traffic is blocked, or there are reported hazards. In busy jurisdictions, an officer may not be available to respond to non-injury accidents like fender-benders. Police officers are professionally trained in accident management and investigation. No. When law enforcement officers arrive, they are there to perform very specific functions. While you have a right to speak with a police officer, the officer is isn’t required to listen to you. You’re required by law to cooperate with the officer by producing your ID, proof of insurance, car registration, driver’s license information, and answering questions about the accident. Continuing to argue or challenge the police officer can interfere with the investigation, and may also get you arrested. 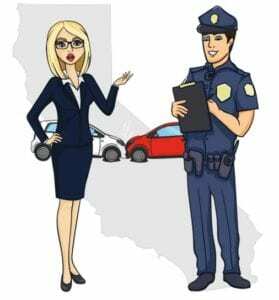 If the investigating officer decides you violated California traffic laws , you may be issued a traffic citation. While you have every right to try talking the officer out of giving you a ticket, you must accept it once it has been issued. It’s important to remember that a traffic citation, even after signing it, is not proof of guilt. Traffic court is the place to argue about the citation, not at the accident scene. Your auto insurance policy is a legal contract between you and the insurance company. You want your insurance company to protect you when you’re in an accident, but you have to do your part. Your part of the contract includes telling your insurance company any time you’re in an accident. If you look through the long version of your car insurance policy, you’re sure to find a Notice of Occurrence and Cooperation clause. The clause means you agree to tell your insurance company when you’re in an accident, and you agree to cooperate with your insurance company’s accident investigation. What if I don’t report the accident to my insurance company? Failing to comply with the terms of the policy’s Cooperation Clause can lead to your insurance company deciding not to renew your policy, raising your premiums, and in extreme cases they may even cancel your policy. Each insurance company has its own method of calculating premiums, including factors like prior accidents, and the cost of paid claims. While insurance rates are different with every company, in most cases your premiums won’t go up if the accident wasn’t your fault. You are required to tell your insurance company about every accident, even if the accident wasn’t your fault, or no one seems to be hurt. You give your insurance company the best chance to protect your interests when you report an accident right away. If someone from the other car decides to hire a lawyer or starts to complain of injuries days after the collision, you can bet they’ll be contacting your insurance company with a demand for money. Your insurer would be in a terrible position if you hadn’t already notified them about the accident. Yes. There is no legal or practical reason for you to admit the accident was your fault at the accident scene. Don’t make statements that can be used against you later. You can’t possibly know of all the factors involved in the crash, including those which may show the other driver is also at fault. While the driver may have told you he wasn’t hurt, things can quickly change. Some injuries take hours or even days to appear. By failing to tell your insurance company there was an accident, you have denied them critical time and opportunity to investigate. This investigation is vital in their effort to protect themselves (and you) from claims of property damage or personal injuries. Delayed Symptoms: The other driver and their passengers may have delayed symptoms of injuries. Some injuries can take hours or even days to appear after an accident. No Insurance: The other driver might not want you to know that he doesn’t have proof of financial responsibility (property damage and liability insurance). Moreover, the driver may have been worried that if the police responded to the scene, he may be ticketed or arrested for failure to carry insurance. Fraud: The other driver or passengers may decide to “cash-in” on the accident by filing bogus personal injury claims following the accident. Unfortunately, this is a frequent occurrence. If your insurance company does not have the opportunity to promptly stop these false claims, it can lead to thousands of dollars in unwarranted payments. Moreover, when this occurs, the insurance company will likely hold the fact that you failed to report the accident against you, leading to adverse consequences. Don’t admit fault, and never pay the other driver directly. That’s why you have auto insurance. Report the accident to your insurance company and let them investigate. Your insurance company will not pay a penny to the other driver without requiring the other driver to sign a release that protects you from further responsibility. Are there mobile apps to report auto accidents? Yes. There’s a growing number of apps that make it easier than ever to start your insurance claim process. Here’s a sampling of free accident reporting apps. Your insurance company may offer a similar application. 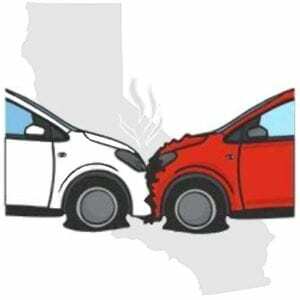 California is not a no-fault insurance state, where both parties in a car accident turn to their own insurance companies for compensation. 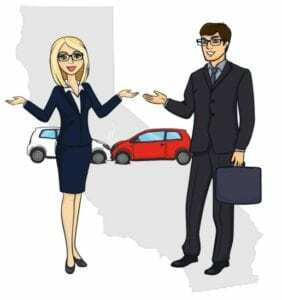 California car accident victims may pursue the at-fault driver and the at-fault driver’s insurance company for damages. Property damages include the cost to have your car fixed, the cost of a rental while your car is in the shop, the value of personal property lost in the crash, and the value of your car if it’s a total loss. Personal injury damages can include medical, chiropractic, and therapy bills; out-of-pocket expenses for medications, medical devices and transportation to treatment; mental health services; pain and suffering; and more. 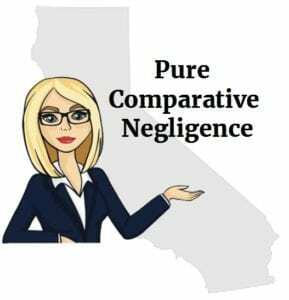 Under the Pure Comparative Negligence Rule, the victim of a California car accident can still seek compensation from a negligent driver even if the victim shared some blame for the accident. The amount of compensation the victim receives will be reduced by the percentage of the victim’s own blame for the accident, whether the victim was 1% at fault or 99% at fault for the accident. The insurance company will decide your share of blame for the accident before paying any claims. Whether the insurance company decides you are partially or totally to blame for the accident, if you don’t agree with the insurance company’s determination, you may need an attorney to reach an appropriate settlement amount. Paula was driving northbound in the far right lane on Pacific Coast Highway heading toward Malibu. Joey was also in the right lane, driving right behind her. He wanted to pass Paula so he slowly moved into the center lane and increased his speed. Once he thought he had passed Paula, he started moving back into the right lane in front of her. Unfortunately, when Joey moved back into the right lane, his car collided with Paula’s car, causing both cars to veer off the road and severely injuring Paula. When the police and paramedics arrived, they treated Paula and transported her to the local hospital. Witnesses spoke with the investigating officer and gave their accounts of what they believed caused the crash. Paula filed a personal injury claim with Joey’s insurance company, demanding $100,000 for her injuries, pain and suffering. The insurance company argued that Paula was most to blame for the crash, so the claim didn’t settle. Through her attorney, Paula filed a lawsuit against Joey. Paula, Joey, the investigating police officer, paramedics, and witnesses testified during trial. The jury determined Joey’s negligence was the primary cause of the crash. because he tried to pass before Paula’s lane was clear. But the jury found that Paula was also to blame for the accident, because she sped up while Joey was trying to pass her. Based on California Pure Comparative Fault rules, the jury set Joey’s percentage of blame at 75% and Paula’s at 25%. That percentage translated into a jury verdict in Paula’s favor. However, the amount of $100,000 demanded by Paula was reduced by 25% (the percentage she was at fault), so Paula’s final award was $75,000. Under California’s comparative fault rules, even if the jury had determined Paula was 99% at fault, she still would have been able to recover $1,000, representing Paula’s 99% fault, and Joey’s 1%. California’s financial responsibility law requires drivers to carry insurance policies to pay for any damages they may cause to others in an accident. Simple property damage claims can be managed without legal representation. The same holds true for some personal injury claims. However, there are other injury claims which require the expertise of an experienced personal injury attorney to get the level of compensation you deserve. Soft tissue injuries include sprains and strains, bruising, abrasions, minor burns, whiplash, or similar minor injuries. Soft tissue injuries are uncomplicated, and generally don’t result in high medical, chiropractic, or therapy bills. Soft tissue injuries require a minimal amount of medical treatment and therapy, few diagnostic tests, some lost wages, and a relatively low amount of pain and suffering. Hard injuries are much more serious and can include head trauma, disfigurement, loss of body parts, compound fractures, third degree burns, deep gashes resulting in scarring, or other serious injuries. Treatment for these injuries can include expensive and protracted medical treatment, diagnostic testing, and more. In hard injury claims, claimants representing themselves are at a disadvantage from the start. Accident victims simply don’t have the skills required to persuade insurance company claims adjusters to offer a fair settlements, at least an amount which the victim believes is fair. Claims adjusters are experts at leading victims to believe they are skilled negotiators. However, you can be sure the adjuster won’t tell you the policy limits of the insured, or how the settlement offer was arrived at. Claims adjusters are not required to help you. Period. No matter how sympathetic the adjuster may seem, in most cases it’s just an act, played over and over many times a week. Adjusters are intent on saving their employers as much money as they can while offering the lowest settlement possible to accident victims like you. You won’t be able to find out whether the driver who crashed into you had the minimum amounts of liability insurance, or much more. Or whether the driver admitted fault, or had previous accidents. Once the adjuster tells you that’s their final offer, it’s basically “take it, or leave it,” whether you like it or not. This is where the experience and expertise of a personal injury attorney is so important. Seasoned attorneys have an assortment of legal tool to use on your behalf. They can learn the policy limits of the at-fault driver, discover the driver’s past record of accidents, citations, prior arrests, and more. This information would be extremely difficult for you to find on your own. Attorneys are able gain access to sensitive information through lawsuits and the pretrial discovery process. Attorneys can issue subpoenas, file discovery motions, send requests for production of documents, and much more. It’s fair to say insurance companies don’t like accident victims to hire personal injury attorneys. Lawsuits cost insurance companies millions of dollars each year in legal fees, settlements, and other costs. Rather than having to pay legal fees, the insurance company may prefer to cut their losses and settle your personal injury claim with your attorney, especially if they think your attorney is about to file a lawsuit. Most personal injury attorneys don’t charge for an initial office consultation. Once you choose an attorney to represent you, the attorney will accept your case on a “contingency fee” basis. A contingency fee basis means you won’t pay any legal fees until the attorney settles your case or wins it at trial. Your attorney will be paid a percentage of your total settlement or court award. If your attorney is unable to settle your claim or loses the case at trial, you will owe the attorney nothing. Yes. You have every right to negotiate legal fees before agreeing to retain an attorney. Contingency fees typically range from 25% to 40%, depending on the complexity of the case. The attorney representing you has to pay all the costs of the lawsuit in advance. The costs can include private investigators, court reporter fees, filing fees, and more. These costs can be substantial, especially in a serious injury claim. 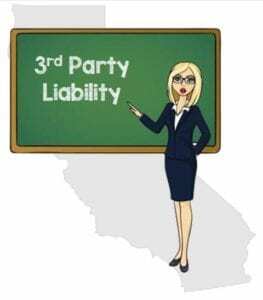 California Small Claims Courts exist to help those who can’t afford, or don’t want to retain an attorney, but who have sustained some sort of personal injury or property damage and want the responsible person to pay. When would I file a car accident lawsuit in s Small Claims Court? Small Claims Courts have limited jurisdiction. The maximum amount you can sue for in a California Small Claims Court is $10,000. You’re required to sue the at-fault driver and not the driver’s insurance company. 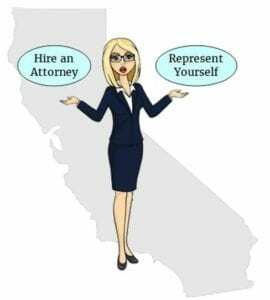 For more information about California Small Claims Courts see the California Department of Consumer Affairs or the California Courts web page. A statute of limitations is the legal deadline to either settle a claim for damages or file a lawsuit. If a victim fails to settle their claim and does not file a lawsuit within the statute of limitations period, the victim loses his or her legal right to pursue that at-fault driver for compensation for damages arising out of the crash. California’s statute of limitations for car accident injury claims is two (2) years. The statute begins to run on the accident date. If you miss the statute of limitations deadline, you lose your right to pursue your claim with the at-fault driver or the driver’s insurance company. The insurance company won’t help you settle your claim before the two-year statute of limitations expires. Their adjuster has no legal authority to grant you an extension of time. It’s your responsibility to know the statute of limitations period for your personal injury claim. 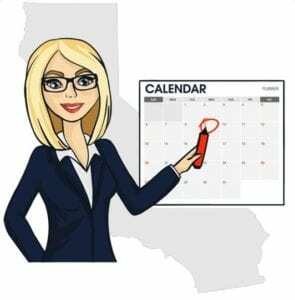 Enter the date of the accident and mark the date two years after on your calendar, in your computer, and into your cell phone calendar. Give yourself plenty of reminders. If the insurance company is stalling and you can’t settle your claim before the statute of limitations deadline, seek the advice of a local personal injury attorney. Filing a lawsuit against the at-fault driver will stop the statute of limitations from running. There’s no good reason to wait until the deadline is about to expire before moving to protect your claim. Filing a lawsuit against the negligent driver will not only stop the statute of limitations from running, but it will also put the insurance company on notice that it’s time for them bring some real money to the table. Your attorney will continue negotiations with the insurance company after the lawsuit is filed. Personal injury attorneys can often negotiate excellent settlements before the case ever gets in front of a judge. Act now to get the compensation you deserve for your serious injuries, pain and suffering. Does my pain and inconvenience of bed rest mean anything? Repair shop denying there’s any damage to my car, so insurance is denying claim? I was parked to the side of an intersection that had two lanes going each way, with the center divider obstructed by a cement walk…. Will the insurance company fight me if the driver has a felony DUI hit and run? I was riding in the passenger seat with the registered and insured owner behind the wheel. She carried the state minimum required amount of insurance….